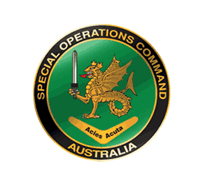 The 6th Aviation Regiment is one of the Australian Army’s three Army Aviation regiments and is tasked with supporting the Australian Defence Forces’ (ADFs) Special Operations Command (SOCOMD) through the 171st Aviation Squadron. This article will provide the reader with a brief overview of SOCOMDs utility and battlefield lift capabilities provided by the Australia Army’s aviation branch. The 16th Aviation Brigade is an aviation brigade of the Australian Army. The 16th Aviation Brigade currently commands most of the Australian Army’s aviation units, including the 6th Aviation Regiment. Formed on 02 April 2002 from the amalgamation of the Aviation Support Group and the 1st Division’s Aviation unit, it is headquartered in Enoggera, Queensland with units based throughout Australia. The 6th Aviation Regiment was raised 01 March 2008 and absorbed the 171st Aviation Squadron. The 6th Aviation Regiment is tasked in direct support of SOCOMD providing utility and battlefield lift capabilities. As such, 6th Aviation Regiment provides air mobility and battlefield support to land and Special Forces in a combined, joint or interagency environment in order to defeat attacks against Australia and assist in the defence of Australia’s security interests. The 171st Aviation Squadron, commanded by a Major (OF-3), is an Australian Army helicopter squadron equipped with S70A Blackhawk helicopters and provides support to SOCOMD. The squadron is currently based at Holsworthy Barracks near Sydney.